SAN JOSE, Calif. (KGO) -- Thousands of the lowest paid workers in the South Bay will get a 50 percent pay raise. 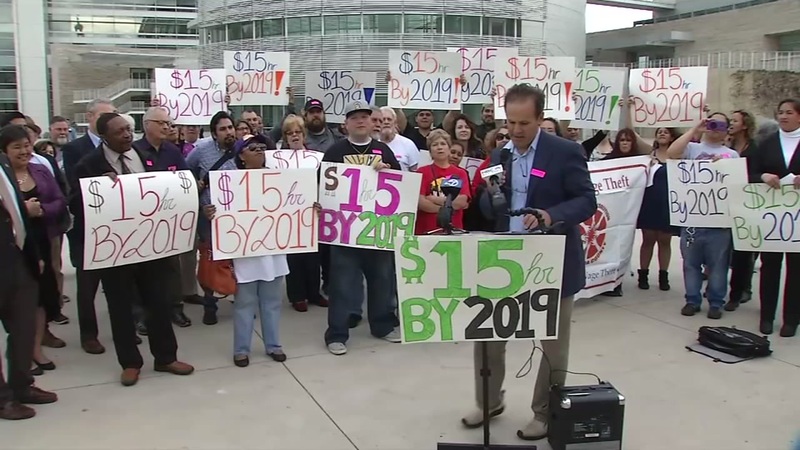 The San Jose city council approved a gradual minimum wage hike to $15 an hour by the year 2019. The current minimum wage is $10.30. On July 1 it will increase to $12 an hour.